First of all, let’s cover style…because that’s the fun bit. 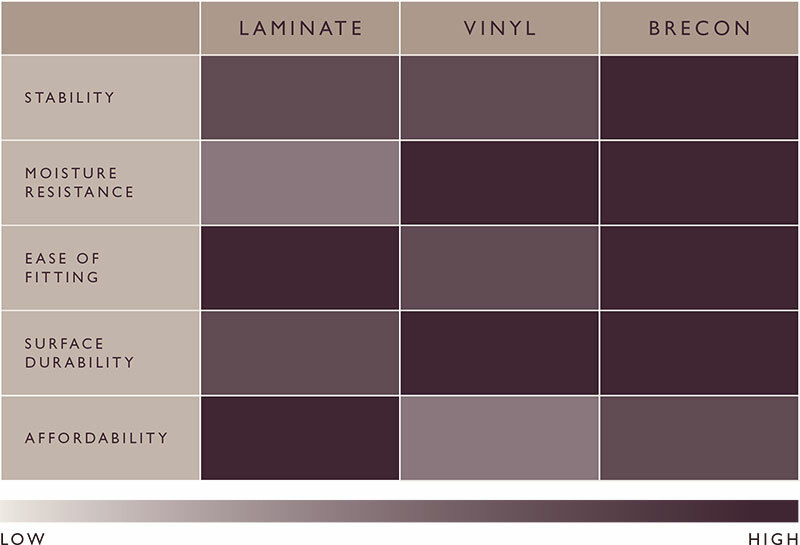 The most enjoyable part of choosing a floor is finding the ideal colour. Whether it’s a natural oak or modern grey, we’re drawn to shades we imagine would look beautiful in our home. 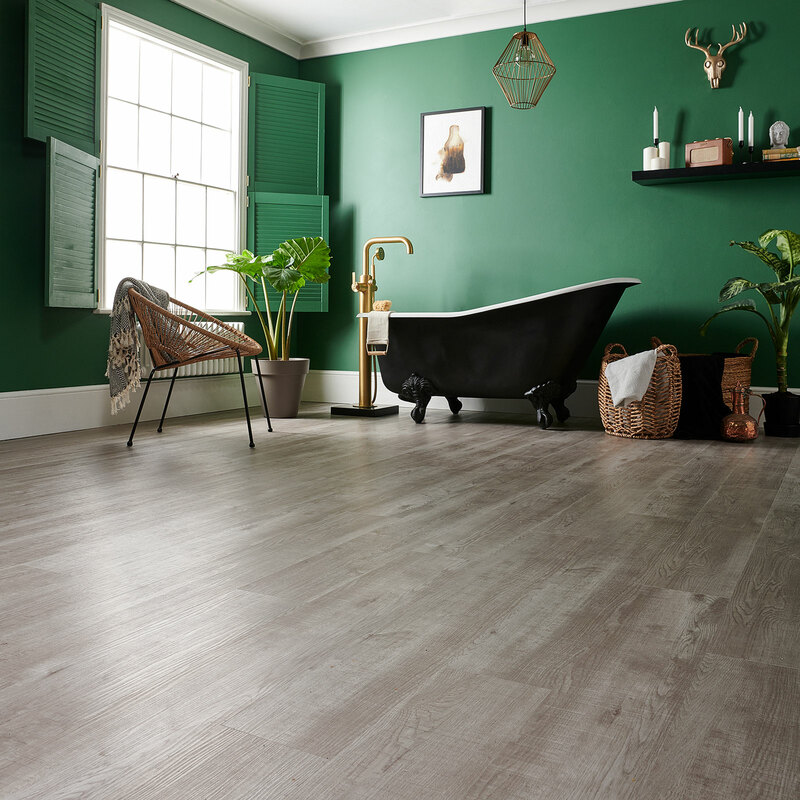 And with a range of 12 contemporary colours all enhanced by the naturally inspired look and feel of real wood, Brecon has plenty to offer in the beauty department. Yet, there’s no style without substance. And that’s the basis of Brecon. 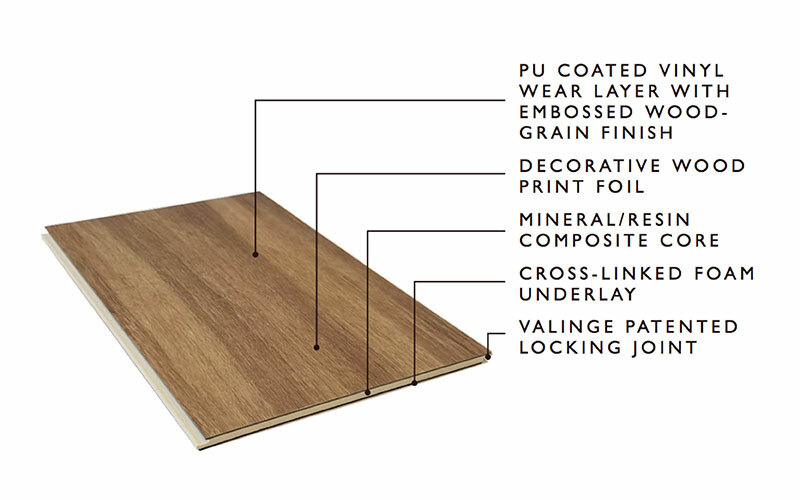 The flooring is just as practical as it is beautiful, with a strong make-up and highly resistant surface. The moisture resistant, resin composite core withstands temperature and humidity changes in even the most demanding areas of the home: you can install it in bathrooms, conservatories and even with underfloor heating. 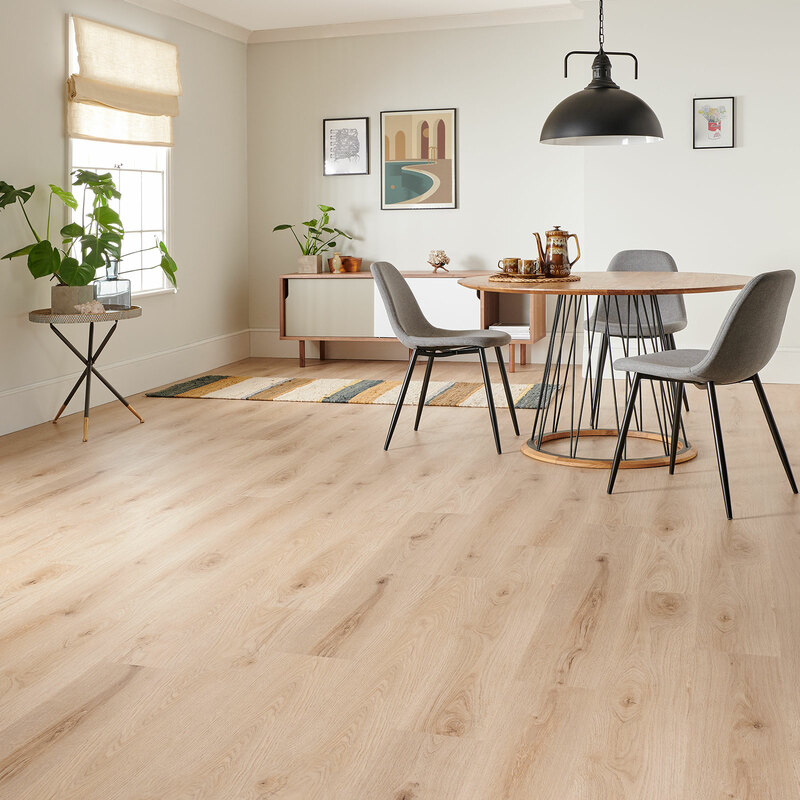 Up top, the moisture resistant, vinyl wear layer protects against scratches, splashes and spills – ideal in any room, and especially with young children or pets. In normal temperature conditions, Brecon hardly budges. That means it won’t crack, buckle, split or do any of the things you might be worried about when installing flooring in rooms with changeable heat or moisture. 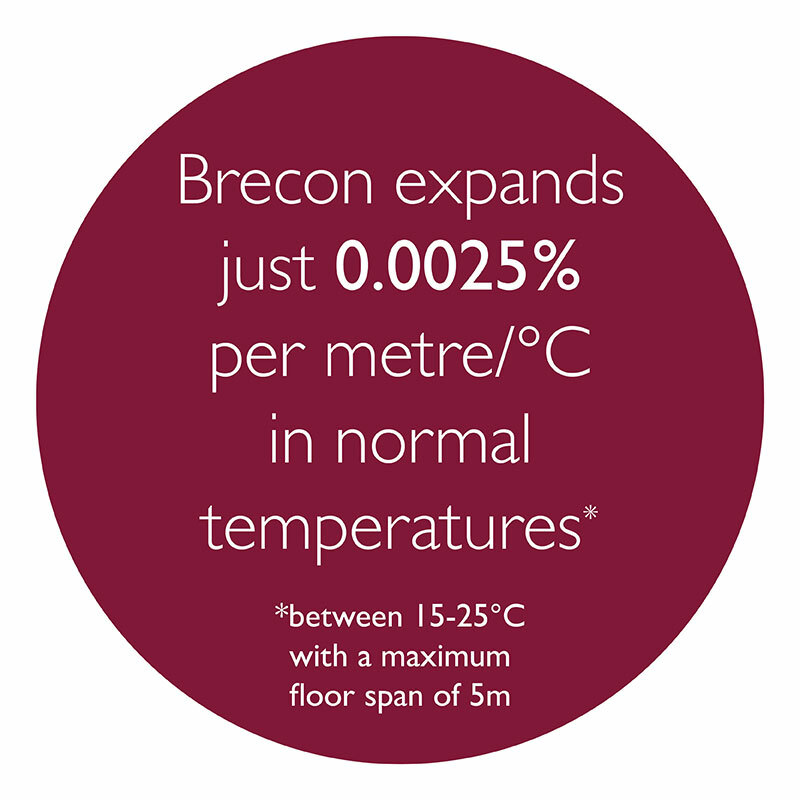 Even if you do like your home at 45 degrees, Brecon is happy to oblige. 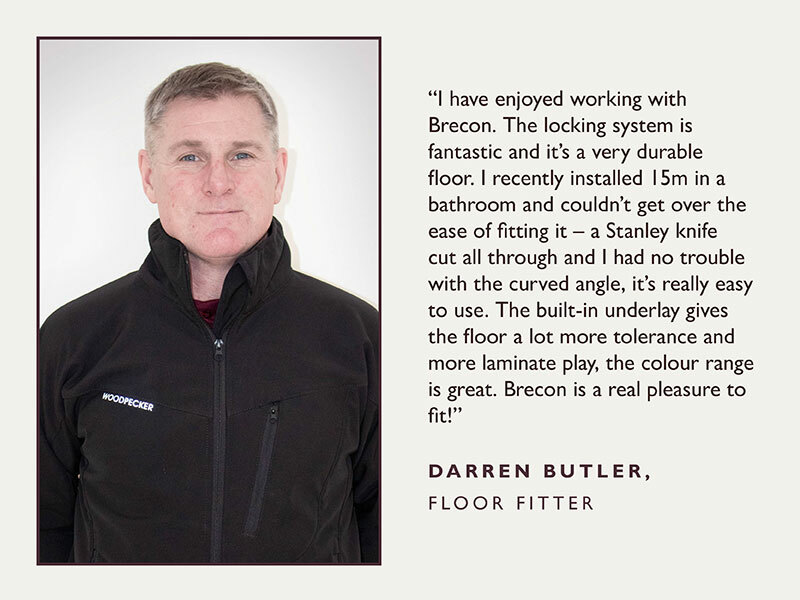 So Brecon really is style and practicality all in one, offering much more than luxury vinyl for a more affordable cost. The icing on the cake? It’s covered by a 25 year warranty.